This is an encore episode that aired originally on June 14, 2014. How Jaguar cleverly parodied Mercedes infamous "chicken" commercial, Samsung poked fun at Apple and Apple perfected advertising mockery with Microsoft. The ad shows several chickens being held by white gloved hands. The hands gently move the chickens, helping them "dance" to the music. While the chicken bodies sway, their heads remain sublimely still, providing an offbeat demonstration of Mercedes suspension system. At the end, a graphic on the screen says: "Stability at all times. Magic Body Control. Mercedes Benz." Three months later, rival Jaguar released a commercial mocking Mercedes. There is a sudden growl and a flutter of feathers floats to the ground. The camera pans to the right and reveals a real Jaguar cat licking its lips, having apparently swallowed the chicken. "Magic Body Control? We prefer cat-like reflexes. Jaguar." Jag had scoffed at the refined claim of "body magic" in favour of raw power. Perhaps Jaguar wouldn't have mocked Mercedes so openly just a few years prior, but it had recently changed its tagline to say: "It's Good To Be Bad." And this new brand positioning gave it more latitude to push the boundaries in the overly refined luxury car category. Samsung has gained incredible market share in the mobile phone category over the last decade. And it has done so by mocking Apple outright in its advertising. Maybe the most famous of those ads was when Samsung openly mocked the way Apple fans will stand in line for hours just to get their hands on the latest iPhone. The commercial mocked Apple nine ways to Sunday. It mocked the 8-hour line-ups, it mocked the appeal of the iPhone to older generations, it mocked the lack of features, and it mocked the fact Apple fans would still line-up for a phone they know offered less. Apple retaliated with a little mocking of its own when it ran a print ad touting their "Green" initiatives. The headline said: "There are some ideas we want every company to copy." Without saying it, the ad mocked Samsung, as Apple was currently in court suing Samsung for copying its technology. The "Get A Mac" series is probably the most famous campaign to mock another brand. 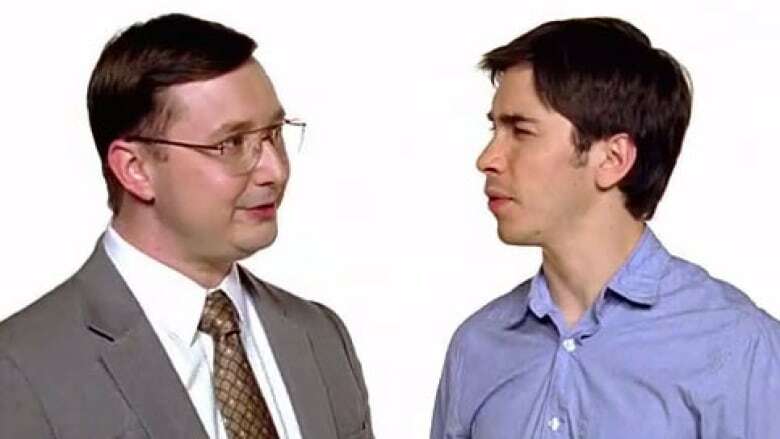 Apple was personified by cool actor Justin Long, and Microsoft was represented by a decidedly un-cool John Hodgman. Or as the world really knew, it was Steve Jobs talking to Bill Gates. Over 66 commercials were made, running from 2006 to 2009. The genius of the "Get A Mac" series was that it mocked Microsoft relentlessly, but it took the curse off the campaign by having Mac be kind to the PC character, throwing an arm around the lovable loser. Apple's share of the computer desktop market more than doubled during the run of the campaign, and its stock price rose over 140%. Microsoft's stock price barely moved. It was one of the most vicious attack campaigns in recent history, a skilful iron fist tucked inside a velvet glove. At a rare talk back in 2007, Jobs and Gates were being interviewed together onstage. When Jobs was asked about the "Get A Mac" campaign, he turned, looked at Gates, and said "The art of those commercials is not to be mean, but actually for the guys to like each other." Laughter can be heard from the crowd watching Bill Gates' reaction. He doesn't buy it for a second.